Sri Gajendra's story shows there is no difficulties in life that the almighty and all-merciful Lord would not protect His devotees from when they surrender and take full shelter at His lotus feet. Elephants are gorgeous. Their majestic maneuvers and prideful attributes make them unique. Elephants are always part of our life, be it domestic affairs, economics, wildlife, or even warfare and religious ceremonies. Their sacrifices are inspiring and prowess humbling. Elephants’ contribution to human society is enormous. Elephants are friendly by nature but they also remember enemies well. They give life for the master but can also kill. I personally have seen, spent time with and heard of great elephants. Lord Vishnu temples in India, specifically South India, regularly engage elephants during religious ceremonies. Some temples even celebrate anniversaries of such pious elephants. My maternal grandfather had two pet elephants at home. These elephants would affectionately welcome him when he would return home from business trips. On the other hand, I also heard during my childhood days how an elephant crushed an old man-enemy who happened to come in front of that elephant after many years. So that’s elephants. You may have read and heard of many heroic stories of elephants, including the ones in the historic devasura sangram, one of the greatest battles ever ensued in this universe fought between the powerful rulers of the universe and their rivals. We also know how the king of heavenly planets, Indra, uses Airavata, the multi-trunked formidable elephant, as his personal vehicle. We need to keep in mind that these are not mythological stories although those unaware of the actual nature of history of the universe think that way due of lack of information and false modern propaganda. Out of all, one particular elephant, Gajendra, is remembered by generations of humankind for his extraordinary surrender to God. 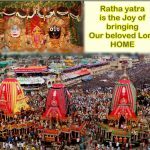 His glories are sung in India’s ancient historical texts known as Puranas (meaning very old) even after millions of years. The famous prayers by this elephant is well-known as Gajendra moksha. Gajendra Moksha is one of the most famous pastimes of Lord Vishnu. 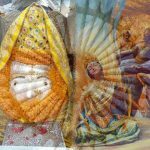 Regular recitation of this pastime, especially early in the morning, is of a great spiritual merit. It shows there is no difficulties in life that the almighty and all-merciful Lord would not protect His devotees from when they take full shelter at His lotus feet. The Second, Third and Fourth chapters of this canto describe how the Lord, during the reign of the fourth Manu, gave protection to the king of the elephants. 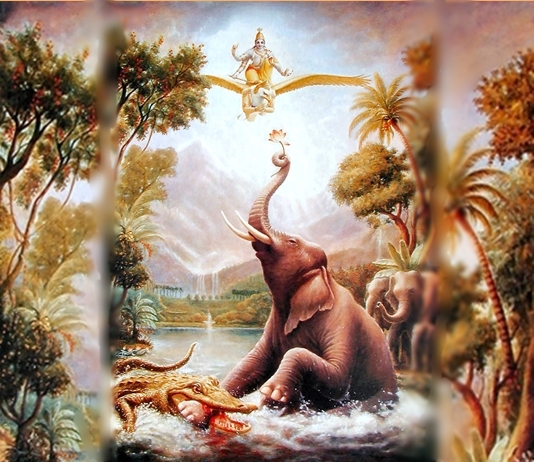 As described in this Second Chapter, when the King of the elephants, along with his female elephants, was enjoying in the water, a crocodile suddenly attacked him, and the elephant surrendered to the lotus feet of the Personality of Godhead for protection. Some of the most inspiring parts of this pastime is, first of all the captivating description of Trikuta moutain, the Ritumat garden and the lake, the lordly character of Gajendra, how nonchalantly he roamed around, how valiantly he fought with the crocodile but eventually realized his limitation fighting in water, how he realized his helpless condition although he was surrounded by his friends and relatives, how he remembered his previous life when he was king Indradyumna and had learned Vedic hymns, how, when he surrendered and offered prayers with utmost sincerity, Lord Vishnu heard his prayers, how, finally when Lord Vishnu swiftly descended, the king of the elephants, Gajendra, quickly picked up a lotus flower from the lake and offered to Him, and, most importantly, how the merciful Lord instantly delivered not only Gajendra but also the crocodile, who too was suffering a curse from a previous life. It is to be noted that knowing the outstanding devotional qualities of this celebrated pious elephant, Sri Sukadeva Gosvami addresses him as Sri Gajendra. 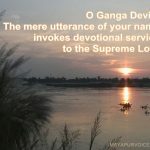 Sri is an honorific prefix offered only to greatly elevated personalities and a fully self realized person like Sri Sukadeva Gosvami, who is an eternal associate of the Lord, offering it to Gajendra is by no means a small recognition. 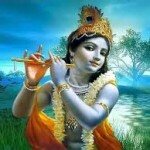 Such is the power of surrender in the process of bhakti, or devotional service. 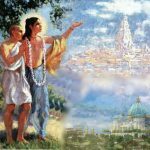 After delivering Sri Gajendra, Lord Vishnu magnanimously said, “My dear devotee, unto those who rise from bed at the end of night and offer Me the prayers offered by you, I give an eternal residence in the spiritual world at the end of their lives.”(SB 8.4.25). When the world is celebrating and remembering Elephant day, may Sri Gajendra, the greatest elephant devotee of Lord Vishnu, bless us so that we can learn how to surrender to the Lord even during the most difficult times of life.